Haute Residence’s annual Luxury Miami Real Estate Summit will take place this year on November 12th and 13th. The two-day event will be held at Estates at Acqualina and will invite the biggest names in the industry from world-renowned developers, brokers and industry moguls. 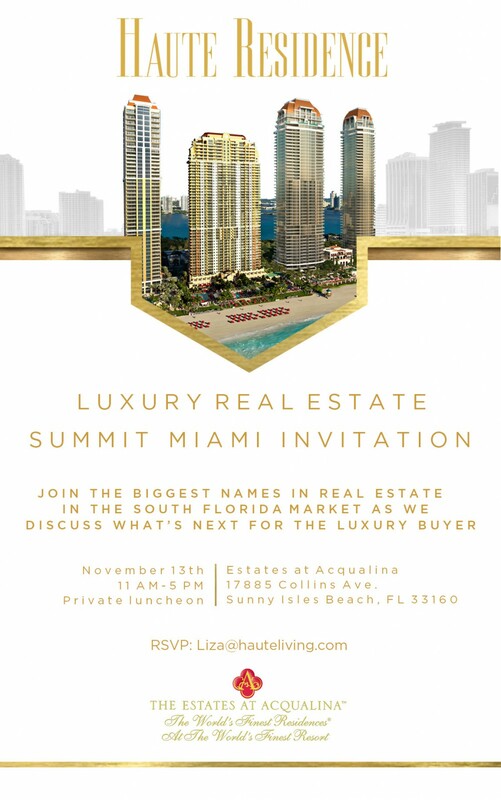 The summit will connect Haute Residence’s prestigious panel of industry leaders with high-end buyers, sellers and industry peers in an informative and intimate setting, with none other than the illustrious Estates at Acqualina as the backdrop of the ultra-luxurious affair. 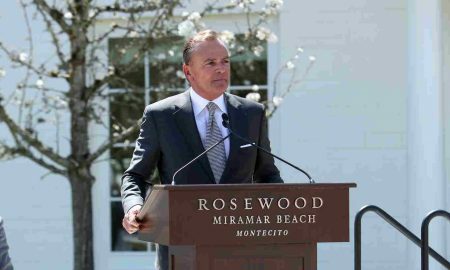 The upcoming property is the newest tower from Acqualina and esteemed developer Jules Trump in collaboration with acclaimed architects, designers and hoteliers. The Estates at Acqualina brings guests the ultimate luxury lifestyle with a beachfront location, indoor and outdoor amenities as well as five-star hotel services. 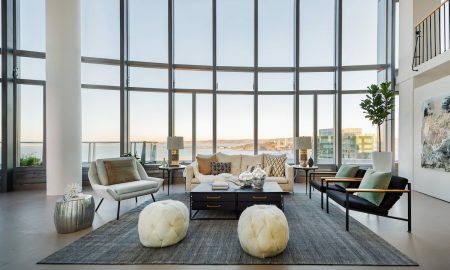 Highlights include an ice skating rink, wine room, sculptured art gardens, golf simulator, disco, movie screening theatre, bowling alley, spa, restaurant, private poolside cabanas, infinity-edge pools and so much more. Guests of the Summit will get a sneak-peek at the unrivaled lifestyle to come from the highly-anticipated property. 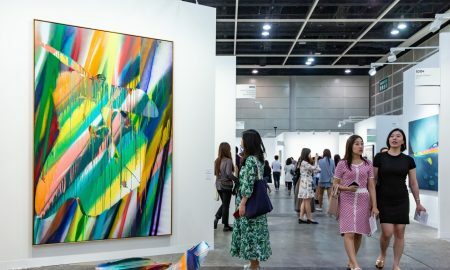 The Summit will grant guests access to some of the greatest game changers in the city and also connect buyers with the most exquisite luxury properties, brokers and developments in the world. The Titans of Miami ‘East Coast Kings’ panel will include Jules Trump, Louis Birdman, Ugo Colombo, Gil Dezer, Dan Kodsi and Carlos Rosso. The masters behind the cosmopolitan Miami skyline will sound off on where they see the luxury market heading and its evolution. A second panel will feature top brokers and agents from key national markets where they will discuss the latest market trends, conditions and developments. This panel will include Dolly Lenz, Jenny Lenz, Olivia Hsu Decker, Gary Feldman, Richard Steinberg, Daniel de la Vega and Santiago Arana. Finally, the Miami Power Brokers panel will focus on the magic city’s luxury real estate market. This panel will feature Dora Puig, Audrey Ross, Lourdes Alatriste, Jeff Miller, Jorge Uribe and Senada Adzem. Masters of the Miami Skyline sound off on where they see the luxury market heading and its evolution. · Network with the greatest minds of development and brokerage in the luxury real estate market. Top Broker/Agents from key national hot spots such as Miami Beach, Los Angeles, San Francisco, NYC, and Aspen sound off on the latest in market conditions and development. Top South Florida Brokers share their knowledge on the evolution and direction of the luxury market today.